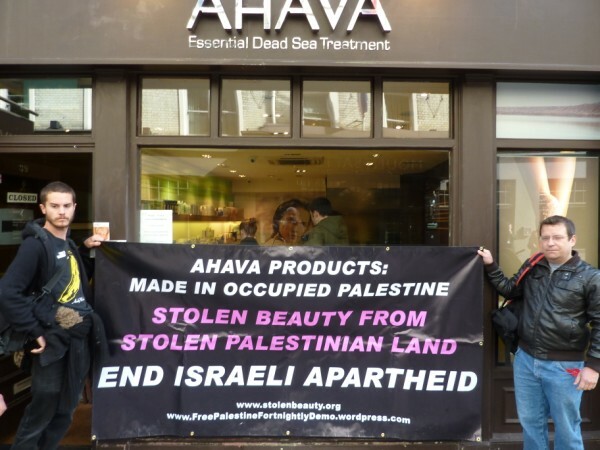 Ben Soffa, Secretary of the Palestine Solidarity Campaign, said: ‘Local activists and PSC branches organised a really vocal campaign to oppose awarding this contract to a company that is complicit in Israel’s illegal occupation. Half a million Israeli settlers live illegally in the West Bank (including East Jerusalem). On the evening of Friday 25 March 2011, the day of the Jerusalem Marathon whose major sponsor is Adidas, BDS activists held their own race against Israeli Apartheid inside the Adidas flagship store on London’s Oxford Street. This is the first of many actions that will bring Adidas’s shameful sponsorship of a marathon that promotes a municipality that is actively involved in ethnic cleansing of Palestinians, demolition of houses and destruction of people and property into the public spotlight. Tower Hamlets council in London has become the second UK local authority to pass a motion to exclude Veolia from local procurement contracts over its complicity with Israeli violations of international law. The motion, which was moved by councillor Harun Miah of the Respect Party, was passed at a full meeting of Tower Hamlets council on February 2.